Luxury-lampwork fairy-tales is the series of author jewelry created by Olga Pasynkova – Russian jewelry designer from Germany. Olga is a Member of International Organization for Self-Representing Artists. 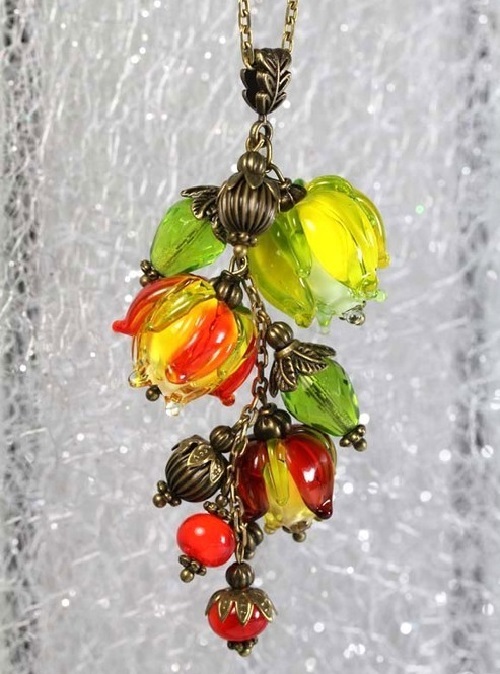 For over 15 years she was engaged in computer design, in 2011 changed her focus to jewelry design and glass beads in lampwork technique. This activity has become her second profession, full-time work. In 2014 she studied at the jewelry courses “Die verlorene Form – Das Wachsschmelzverfahren”. Olga’s fabulous jewelry is unique, gentle and graceful. 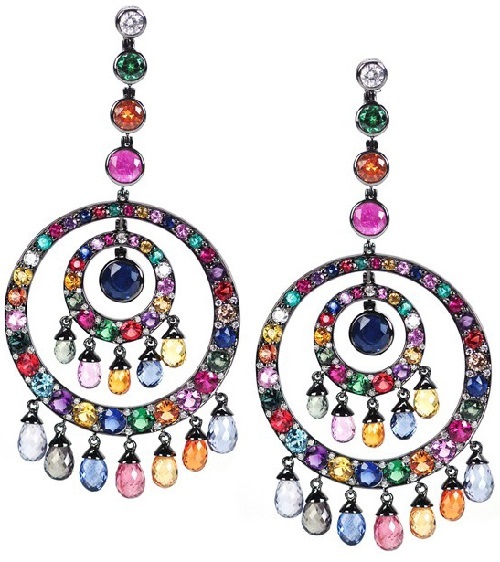 One of the fashion trends of the season spring/summer 2015 is Rainbow jewelry – a combination of precious and semiprecious stones of rainbow colors and shades. In addition to traditional diamonds, sapphires, rubies, emeralds, many beautiful semi-precious stones that “fit in” with the fashion trends of the season. Although the idea is not new, I want to mention bright color combinations in jewelry, precisely because of gems that can rightfully be called a hit of the season. 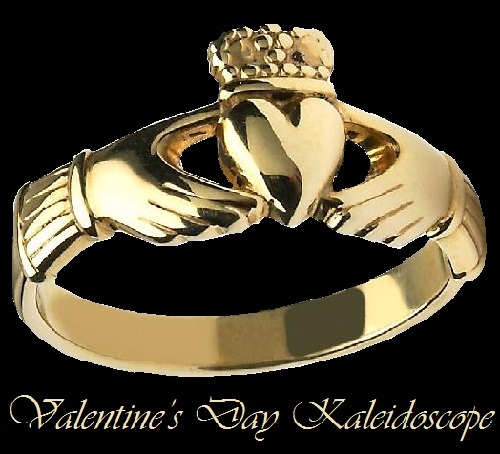 Luckenbooth brooch is an ancient symbol of Scotland, and a traditional symbol of love and fidelity. 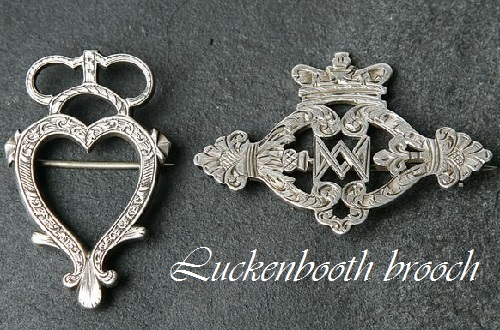 The brooch received its name from the small shops – luckenbooths, located near the Cathedral of St. Giles. In Luckenbooths sold jewelry and other handicraft products of the XVI century. 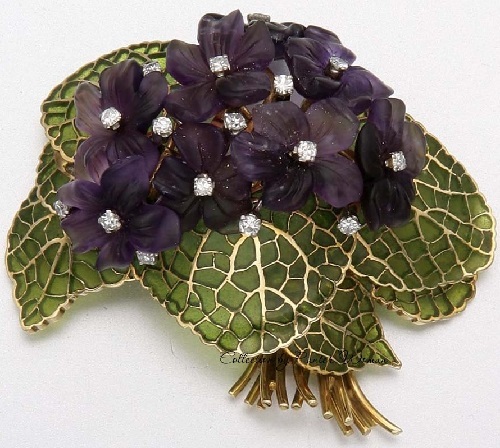 The first brooches were very small in size. It was believed that they could protect people from the evil eye and the influence of evil forces. Also stated that they could help new mothers, nursing mothers and infants. One of the most sophisticated and complex art of vitreous enamelling technique, originates in the Byzantine Empire of 6th century. Revived in the late 19th century by the movement of revivalist jewellery, this technique became especially popular in Russia. In particular, works by legendary jewelers, such as Pavel Ovchinikov, Ivan Khlebnikov, and some other masters working for Faberge are real masterpieces of plique-a-jour. 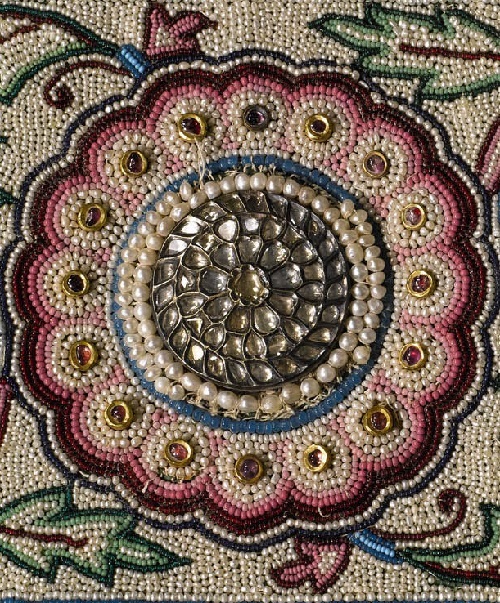 This filigree technique enables light to shine through the enamel like stained-glass. Traditionally, Russian masters predominately worked with tableware. Precious artistic tableware, decorative and applied art from the stained glass enamels always considered the top jewellery. Swarovski Company – the world leader in the production of the most beautiful crystals introduced innovations for the spring / summer 2016. The new Swarovski collection includes new colors and effects, beads, pendants, stones which give stunningly gorgeous look, thanks to the depth and the play of light, like a diamond. 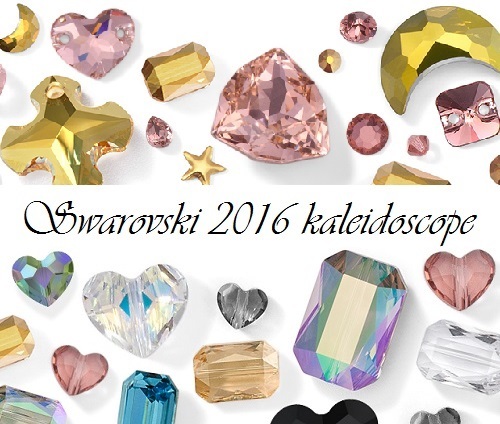 This is only a small part of novelties of Swarovski spring / summer 2016.